What is going on. 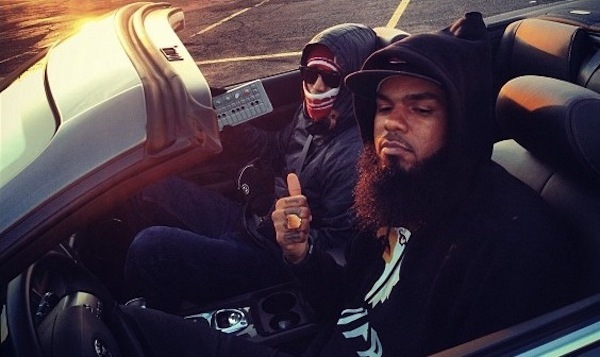 Not a year ago, we were have a talk at Sparks about the fact that if we had lost Common to the dark side, we could count on Stalley to carry the flame a hip-hop close to its roots, where rappers are not just laying flow but saying some. See what we mean ? Well It looks like Stalley has not walk towards the dark side but ran to it. Remember Lincoln nights way, his vintage vibe and Stalley seing himself as the Bruce Springsteen of hip hop ? Well far from saying something, the man is proven unworthy of such a compliment. The sound of the track is interesting, the flow is good, but the direction is so scary and we are so disappointed! The only savage thing right now is our anger towards someone who has not kept a word of what he promised to us. Or maybe did we hope for something that was never there ?